Dale like si te gusto, para subir mas videos en el futuro. ANNA inspi&#39; NANA - Lucy - Male Version | Versi?n Masculina. A request n-n Please enjoy!/ Espero les guste cx. Support my work on patreon: https://www.patreon.com/MrLopez2112 Yahallo! 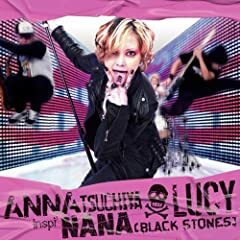 ;D Today I brought you the third opening from Nana "Lucy" by ANNA TSUCHIYA.